Back in October, Mr. Prose and I drove over to Ellicott City, Md., because it had been years since either of us was there. I didn’t remember anything but the old train my kids enjoyed playing around in, but was pleasantly surprised to find beautiful old architecture and cool shops. I had only my iPhone with me, but the light was good and the subjects were great. According to Wikipedia, in 1772, three Quaker brothers from Bucks County, Pennsylvania, chose the picturesque wilderness to establish a flour mill. John, Andrew, and Joseph Ellicott founded Ellicott’s Mills, which became one of the largest milling and manufacturing towns in the East. The Ellicott brothers helped revolutionize farming in the area by persuading farmers to plant wheat instead of tobacco and also by introducing fertilizer to revitalize depleted soil. 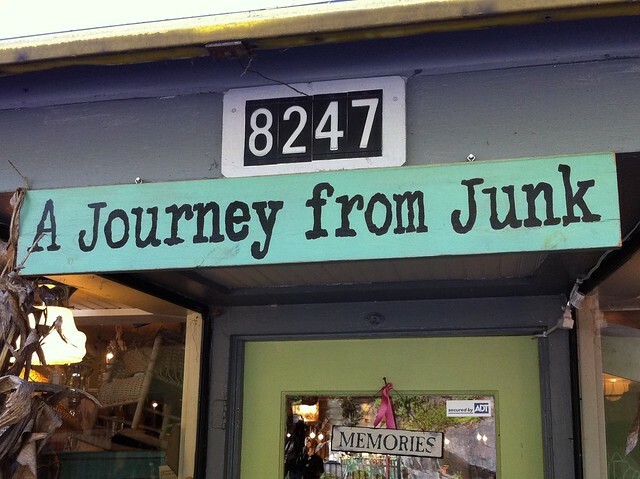 The historic district houses some great cafes and boutiques, such as A Journey From Junk, my personal favorite. . . . The place is filled with all kinds of quirky stuff. 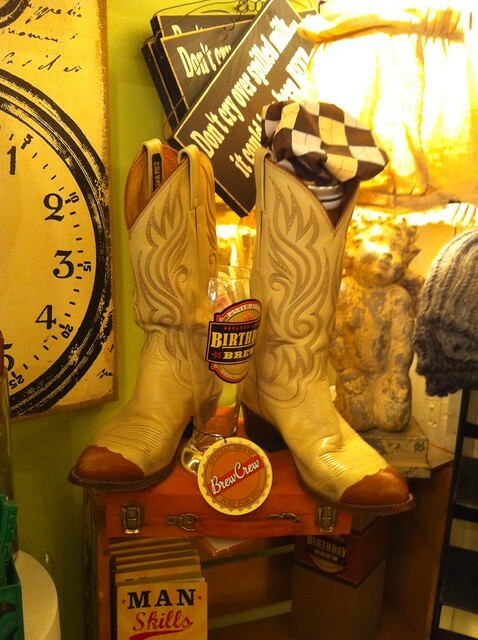 Then there are antique shops with everything you can imagine. . . . 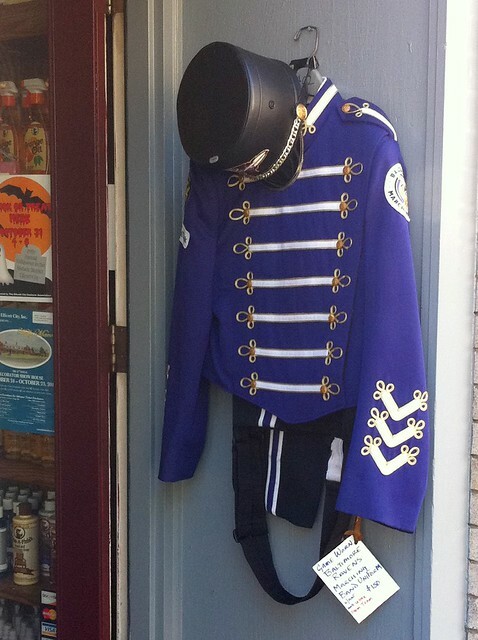 I found this Baltimore Ravens marching band uniform kind of poignant for some reason. Definitely going back with my Nikon. 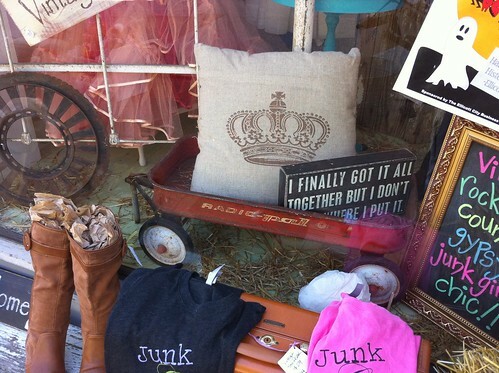 This entry was posted in photography and tagged A Journey From Junk, antique vanity, antiques, Baltimore Ravens marching band uniform, colored glass knobs, cowboy boots, Ellicott City, grain sack pillows, historic district, MD, Ms. Pearl, signs, vintage mantel. Bookmark the permalink. I love Ellicott City! I used to live there. When you go back, go in the candy stores. One of them has chocolate-covered Doritos. I was scared to try them. They’ll also dip a wine bottle in chocolate for you. 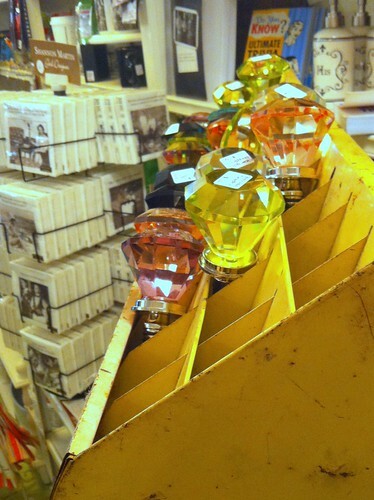 Love your pictures and all the stuff inside the stores is so unique. It was a great surprise, Jeanne. The Journey from Junk photo is great but I do like the fireplace a lot. I have no place to put it, but I love that fireplace surround too, Caroline. Thanks again! 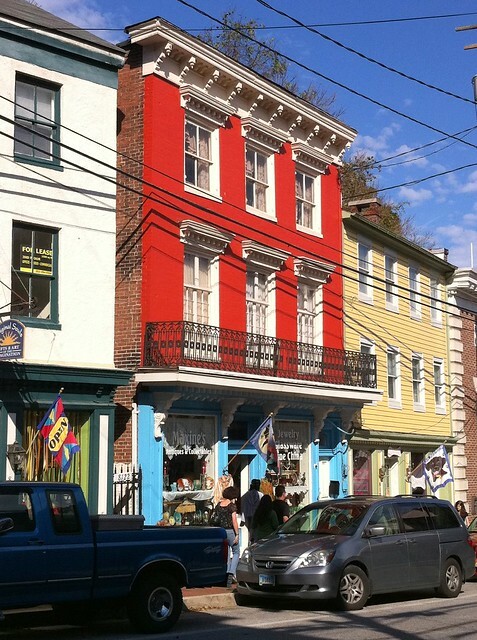 I’ve only lived here three years, but I’m finding that Maryland is a little treasure trove of quaint towns. 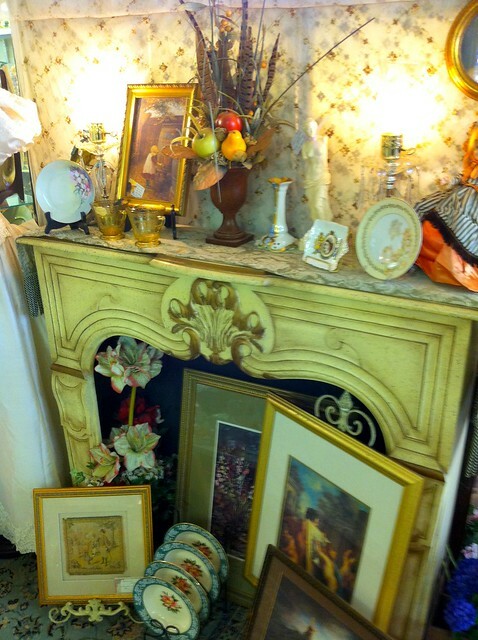 I love that dresser and fireplace!!! 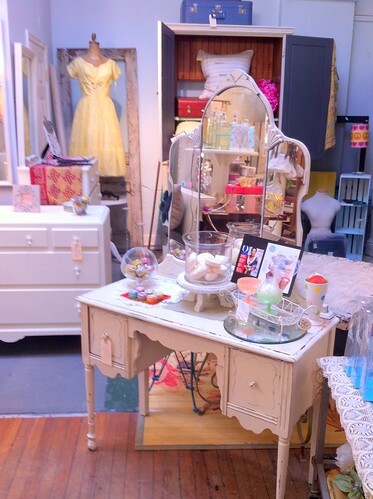 I could spend hours in antique shops! I love all the quirkiness! 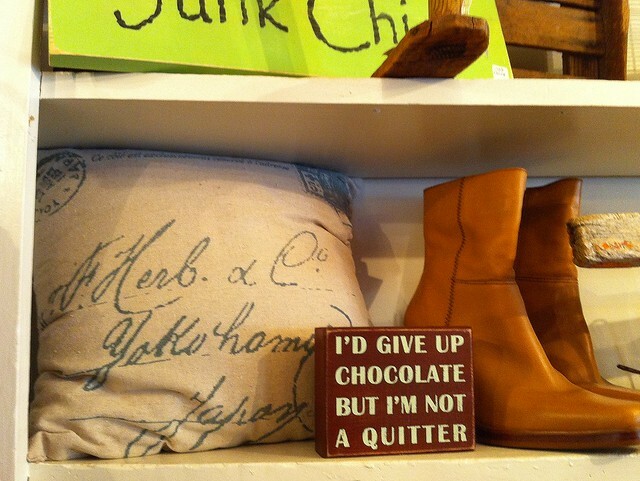 I need the chocolate sign! I was very tempted to buy that.